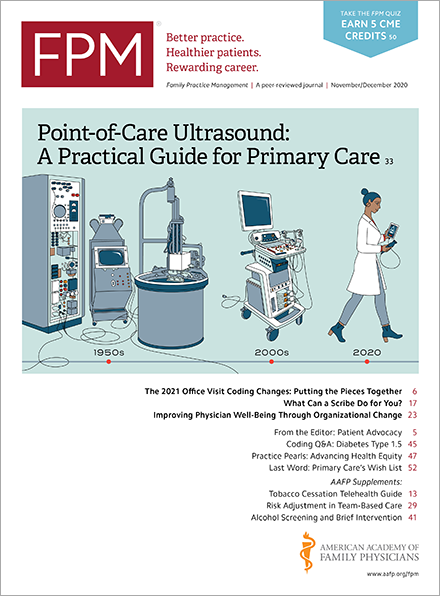 Much of the federal government is currently shut down, but the Centers for Medicare & Medicaid Services (CMS) is up and running and ready to receive Merit-based Incentive Payment System (MIPS) data from eligible physicians who participated in Year 2 (2018) of the Quality Payment Program (QPP). As a reminder, your MIPS performance in 2018 may affect your Medicare payments in 2020. If you’re not sure if you’re eligible, you can check using the QPP Participation Status Tool(qpp.cms.gov). In general, you can submit your data and update it any time up until April 2. CMS Web Interface users need to report their Quality performance category data between Jan. 22 and March 22. If you reported your Quality measures via Medicare Part B claims throughout the 2018 performance year, CMS will receive your quality data from claims processed by your Medicare Administrative Contractor. Claims for services furnished during 2018 must be processed within 60 days after the end of the 2018 performance period. To log in and submit data, you will need to use the new Health Care Quality Information Systems Authorization Roles and Profile (HARP) system. Previously, clinicians received their credentials through the Enterprise Identity Management (EIDM) system. For all clinicians who previously had an EIDM account, you were automatically transitioned to HARP and will use your existing EIDM user ID and password to sign in to the QPP website. For all clinicians who didn’t have an EIDM account, you’ll need to enroll with HARP. For a step-by-step guide to signing up for a HARP account, please refer to the QPP Access User Guide(links.govdelivery.com). CMS encourages you to log in early to familiarize yourself with the system. To learn more about how to submit data, review the 2018 MIPS Data Submission FAQs and other resources available in the CMS QPP Resource Library(qpp.cms.gov). If you have questions about how to submit your 2018 MIPS data, you can contact the QPP by phone (1-866-288-8292/TTY: 1-877-715-6222) or email (QPP@cms.hhs.gov). You can also contact your local technical assistance organization(qpp.cms.gov).